A variety of factors go in to pricing out mold remediation projects including: manpower, equipment, square footage, accessibility, demolition and more. As you can imagine, each and every remediation project is slightly different, which is why we come out to provide a free estimate for mold remediation. If you are looking to save, consider our DIY mold remediation packages as well! As long as you have identified and corrected the source of the mold growth and the mold is properly and thoroughly remediated, it is not an issue that should be recurring. When selecting a mold remediation company, be sure to inquire about the warranty on the mold remediation. All of our work comes with a six-month warranty from the date on which the work was completed. It is important to set your expectations before having any work done. There is no such thing as a mold-free home. 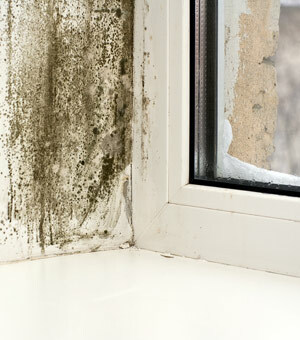 Mold is naturally occurring in the atmosphere. The issues arise when there are elevated levels of allergenic molds in your home. Post-Remediation Verification (PRV) or mold testing after mold remediation work has been done will document that normal conditions are now present. If you had mold testing done prior to the mold remediation, you can compare these samples to those taken after the work has been completed to measure the success of the work. While some mold remediation projects require the removal of moldy drywall and other substrates, not every project calls for it. During the free mold assessment our Certified technicians will evaluate exactly what needs to be removed, if anything, as part of your scope of work.